End of the year festivities are almost here and and what better way to set the mood for the season than announcing the Wave 15 Vanguard: Alistair Crook! I think a lot of judges can relate to the description above. If there was another reason you’ve joined the Program, I’m sure that digging into the fascinating complexity of the rules is what you’d stayed for. 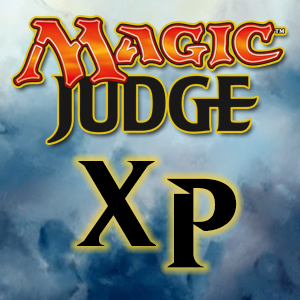 Judges are rules experts after all, willing to help players and share their knowledge with the colleagues. Being able to keep that attitude while being present at various platforms and engaging with the Magic community on a daily basis is a rare trait. Burnouts are a real thing. And when one of us approaches this state it’s a good time to reflect at the reasons why we got involved into judging this game, what we loved about it. Engaging in a variety of activities like Alistair does can help one find new sources of energy and enthusiasm to go on with judging in all of its aspects. For these reason, we selected Alistair as the Wave 15 Vanguard. For this wave, Alistair selected to be represented as an Creature – Goblin. Unfortunately, the art is not yet available for release, so we are going to have to keep you in suspense a bit longer. Exemplar Wave 15 (Fall 2018) is live! Exemplar Wave 16 (Winter 2019) is live! Need help with your own blog? Contact us!